Following a series of high-profile athletic scandals to start the year, the Latvian manufacturer of the drug mildronate — commonly known as meldonium — wants it removed from the World Anti-Doping Agency's prohibited list. Pharmaceutical company Grindex's board chairman, Juris Bundulis, told reporters Monday the company sent an open letter to WADA and added, "we should ensure that from Jan. 1 next year our drug is no more on the list of banned substances." Meldonium was banned at the start of 2016 by WADA, the body charged with policing doping for much of the athletic world. The drug is at the center of the scandal surrounding Russian tennis superstar Maria Sharapova, who admitted in March that she failed a test for it. She was then provisionally suspended by the International Tennis Federation pending a disciplinary hearing. Since meldonium's inclusion on the banned list Jan. 1, at least 172 athletes have failed tests worldwide, including many Russians. Last week WADA said some athletes had a shot at having their bans lifted, admitting that some who tested positive in 2016 could have had trace amounts of meldonium left in their system from 2015. "In these circumstances, WADA considers that there may be grounds for no fault or negligence on the part of the athlete," the group said in a statement, adding that the presence of less than one microgram of meldonium in the samples was allowed. While WADA may walk back some bans, Grindex is pushing to have the drug allowed in 2017, with Bundulis saying the company had managed to keep the agency from banning meldonium in the past and that the January inclusion on the prohibited list was "an unpleasant surprise for us," according to Russian news agency Tass. "We have not yet got any answer on the reasons" for banning meldonium, he said, adding that mildronate was not meant for doping and many countries allow for its use. It is available over the counter in Russia, for instance. Meldonium is commonly used for people with heart problems, but for athletes looking to gain an edge over the competition, it can also increase blood flow and boost endurance. The Latvian manufacturer of the drug asserted in its letter that it doesn't help athlete's performance. 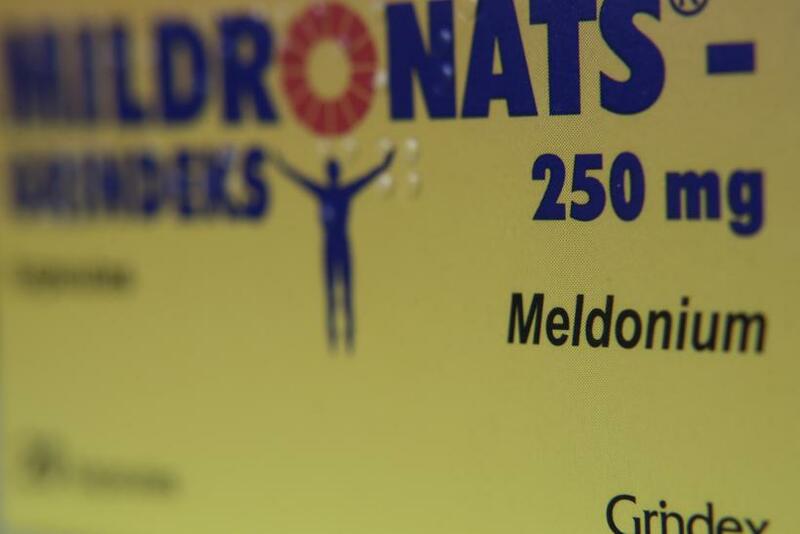 According to Tass, the company's open letter read: "We’re convinced that mildronate is not a preparation enhancing an athlete’s sports achievements and does not pose a real or a potential threat to an athlete’s health. The therapeutic use of meldonium does not contradict the spirit of sport and, especially, health."